Benefitting from supreme exposure in the heart of the shopping strip, this shop and residence rest on approximately 197m2 (zoned C1Z Commercial 1) adjoining a rear ROW. 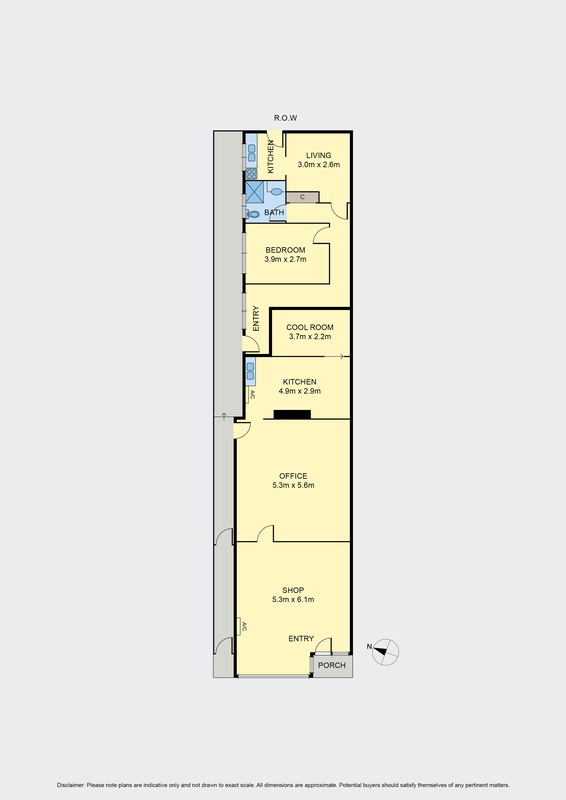 Featuring a shop floor leading to a workroom and storage area, combining to provide appeal for investors, prospective retailers and business owners, it also includes a one bedroom residence ready to reward enhancement. The residence comes with a living room, small kitchen, bedroom and bathroom, while Pascoe Vale Road frontage ensures the shopfront is impossible to miss by the passing parade. With one of the city’s most well known thoroughfares giving a ready made audience there’s plenty of potential here.